New ballpark food hitting stadiums. Jeannette Reyes reports during Action News Mornings on March 21, 2019. As opening day excitement continues to grow, so is the list of food options at Major League Baseball stadiums. There will be plenty of new menu choices for fans when the Phillies take on the Atlanta Braves next Thursday at Citizens Bank Park to start their season. 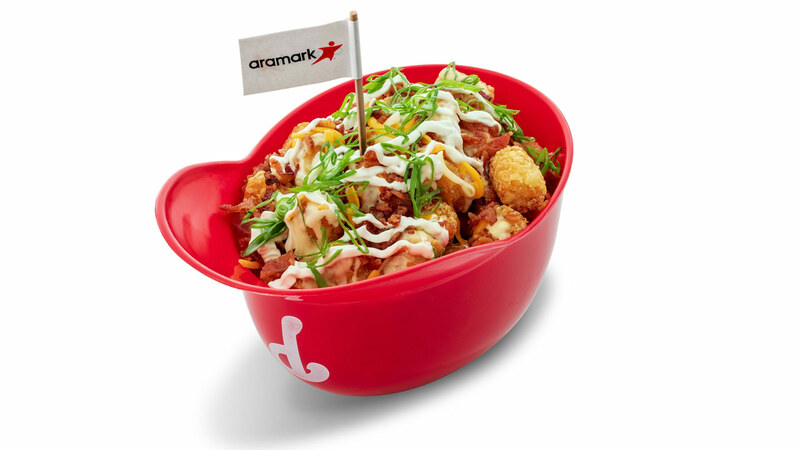 Along with Questlove's plant-based cheesesteaks, Aramark, the food management company located in Philadelphia, has announced its new lineup of spring menu offerings for some of its stadiums. At Citizens Bank Park, you can find Cheesy Bacon Topped Tots - tater tots with American cheese sauce, bacon, shredded cheddar jack cheese and diced scallions. 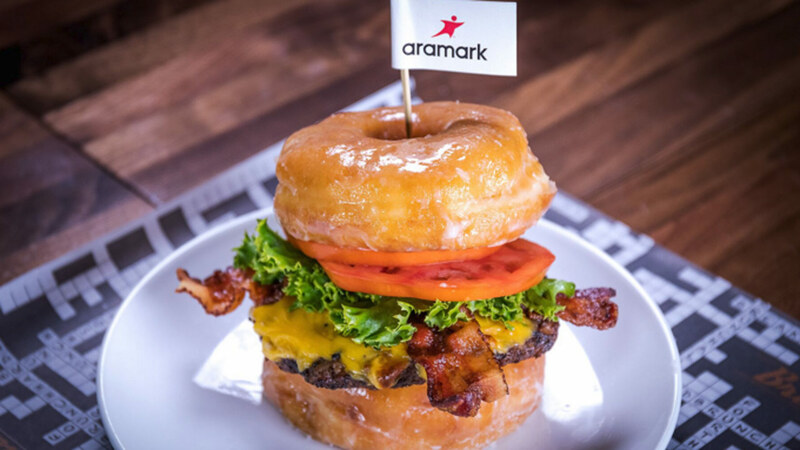 You can also now watch Bryce Harper and the Phils while eating a Donut Burger, a fresh beef burger, cheese, bacon and spicy cherry pepper jam on a glazed donut. And don't forget for the first time Shake Shack is bringing its sit-down restaurant experience to the stadium. 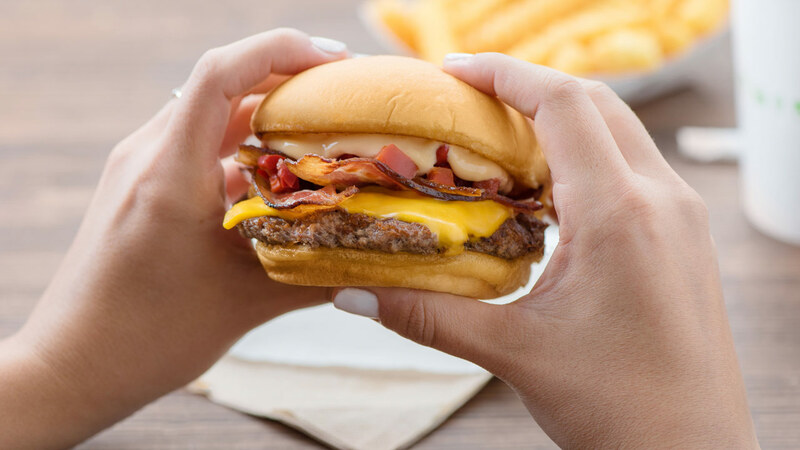 With seating for 120 fans, there's plenty of room to enjoy the SmokeShack, a Shake Shack burger with bacon, cherry peppers and ShackSauce. Other choices include the Vegan Lettuce Wraps - curry cauliflower, fried chickpeas and coconut milk (vegan) and Tandoori Chicken Wings - yogurt marinated chicken wings, Kashmiri chili pepper, tamarind and scallions. Several other stadiums are getting even more decadent options. 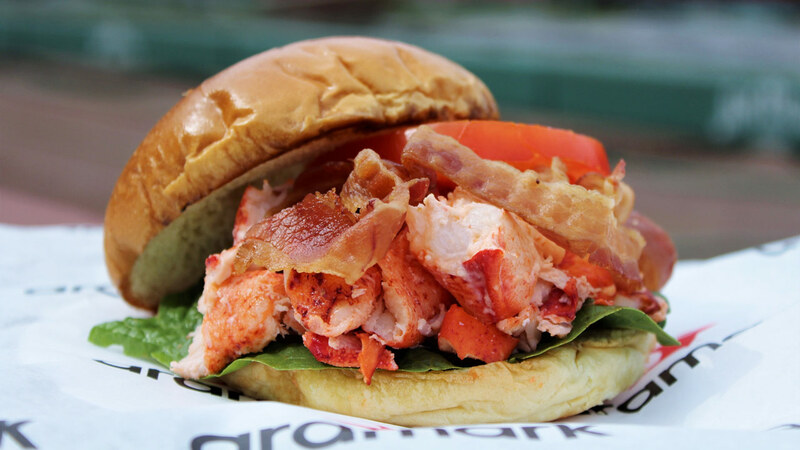 Over at Fenway Park in Boston, they are serving up the LBLT with fresh lobster meat, crispy bacon, leaf lettuce and sliced tomato. 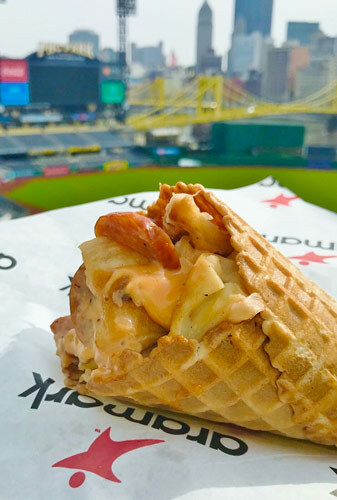 Or at PNC Park in Pittsburgh, you can grab a Pittsburgh Cone - that's a Kielbasa, pierogi, Swiss cheese, sauerkraut and Russian dressing, all in a waffle cone. 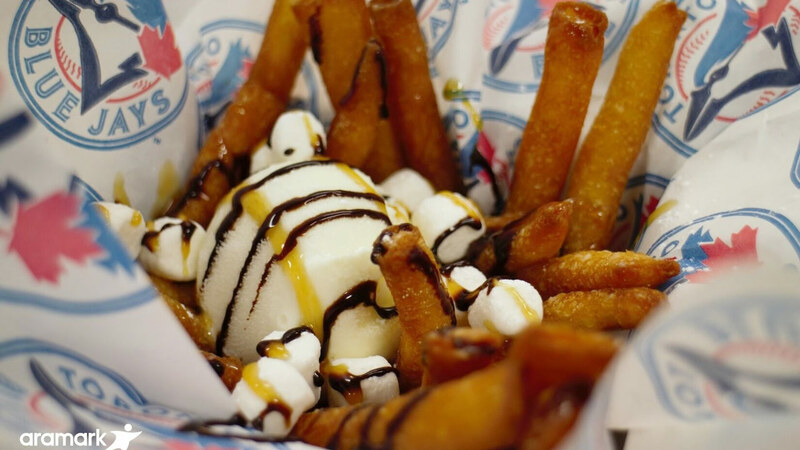 And for dessert in Toronto you can try a Funnel Cake Poutine, deep fried funnel cake fries, ice cream, chocolate, caramel and marshmallow. 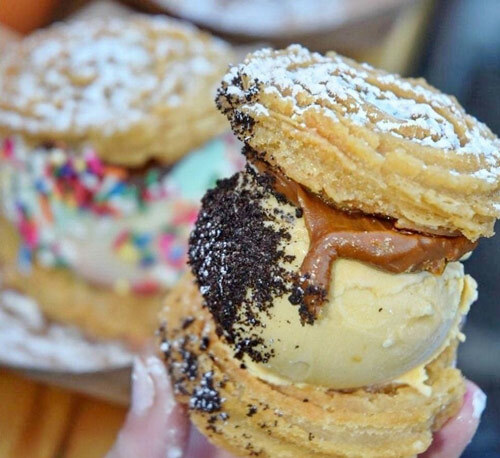 Or an Ice Cream Churro Sandwich at Citi Field in New York with salted caramel banana ice cream, dulce de leche and Oreo crumbles.